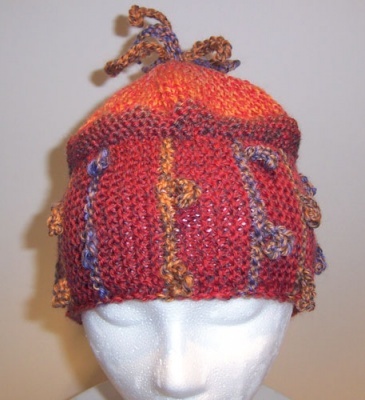 Catie has come out with a very cute hat, to match the Squiggle Scarf. Here is what she writes: "Tooo cute! "Nothing could be more fun and fanciful than “squiggles”! 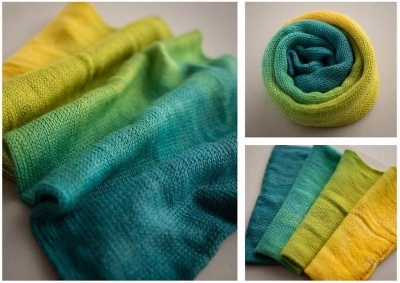 "So easy to make, if you can cast on and bind off, you can squiggle. Super simple instructions lead you through every row and round of construction. 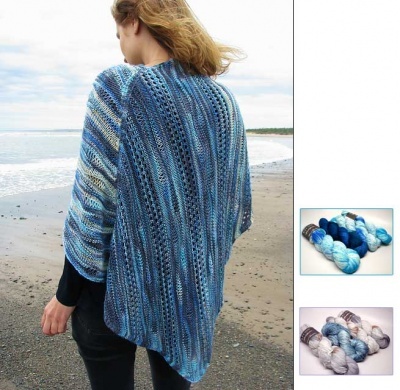 "This design makes the most of colorful variegated or hand-painted yarns. Only have solid colors available? No problem. Use one for the main color and one or more for the squiggles. 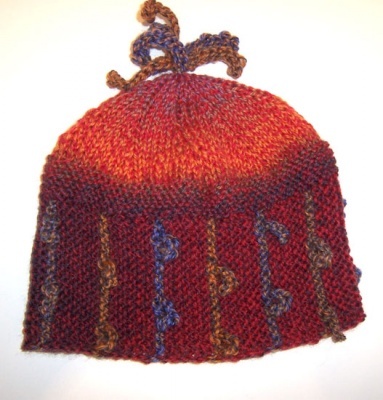 The original hat was made with one ball and just a bit more of Rhythm from JojoLand though any colorful yarn will work. You want basically 120 yards of the main color and 35 yards for the squiggles. Gauge: #7 needles — 4.5 stitches = 1 inch in garter stitch.